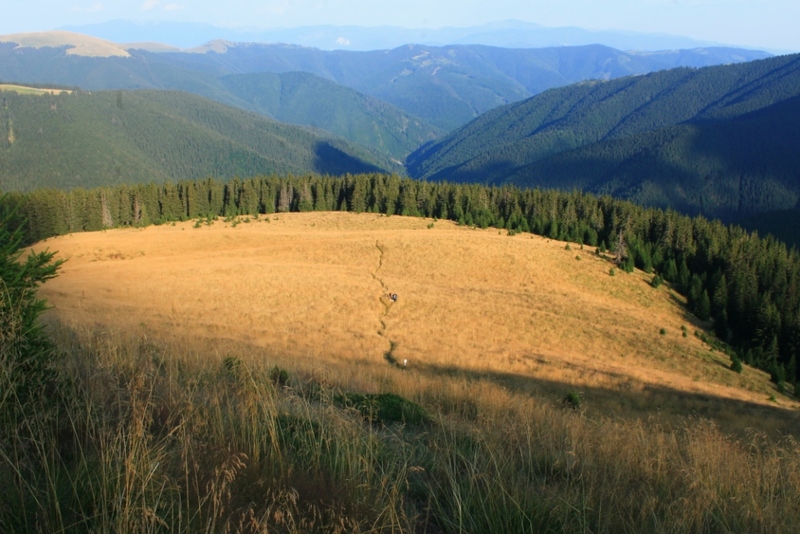 Home to more than 60 percent of surviving European brown bears, some 2,500 wolves, and more than half of the continent’s pristine forests, the Romanian Carpathians have recently started to be seen as a frontier for rewilding and for large investments in ecotourism. As in other cases of wilderness creation, most of the environmental protection agendas have proposed strict regimes of conservation, which often disregard the historical role of local communities in shaping such rich biodiversity. In 2012, the newly established Foundation Conservation Carpathia (FCC) proposed a bold plan to conserve what entered the media as “Europe’s greatest wilderness reserve.” Backed by the generous support of its board—composed of world renowned philanthropists, conservationists, and magnates from the outdoor industry—the initiative rapidly gained momentum in a country where wildlife crimes and allegations of illegal logging have made the daily headlines. By the end of 2017, the foundation had acquired over 20,000 hectares of forestland and gained custody of two Natura 2000 sites, where hunting, logging, and grazing began to be severely controlled. Ecosystem restoration, replanting barren slopes, and reintroducing missing species are the foundation’s commitments in terms of conserving the wilderness. Careful analysis of official press releases shows that such a daring project could hardly have been envisioned without direct governmental moral and legal support over recent years. On 15 September 2016, the Romanian Ministry of Environment started discussions to establish a national park in the area targeted by FCC. Official documents cited the area’s rich biodiversity, its expanse of ancient forests, and its large yet compact territory as arguments in favor of declaring it a national park. At the same time, the ministry baldly presented the importance of the future park on the European level, naming it “The European Yellowstone.” FCC had previously used this catchphrase to advance the idea of a pristine territory in the region. What the government and the mainstream media did not discuss were the profoundly human influences that have shaped the environment in this region over several centuries through traditional land-use practices and, in the recent past, through socialist state projects. 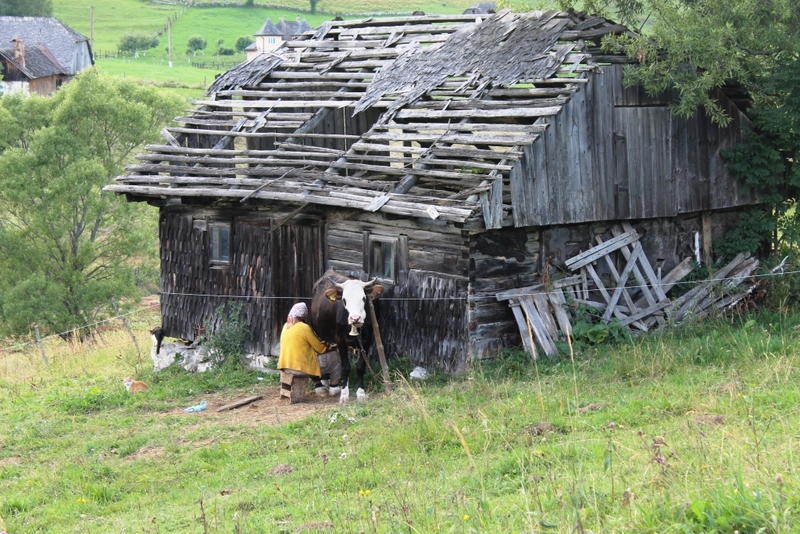 Moreover, extended fieldwork in the area attests that, in the last six years, the Fagaras Mountains have become a highly contested terrain where the private conservationist agenda has clashed repeatedly with the local pastoral and forest-dependent communities, who are already weakened by postsocialist processes. FCC followed two major specific objectives in the early years, namely: 1) to persuade people to sell their land and 2) to convince them to give up their rights to the historical forest commons, a traditional institution present in most mountainous villages. The first was needed because the foundation aimed at creating a private protected area, not a public one. People who did not sell experienced restrictions on accessing their plots. 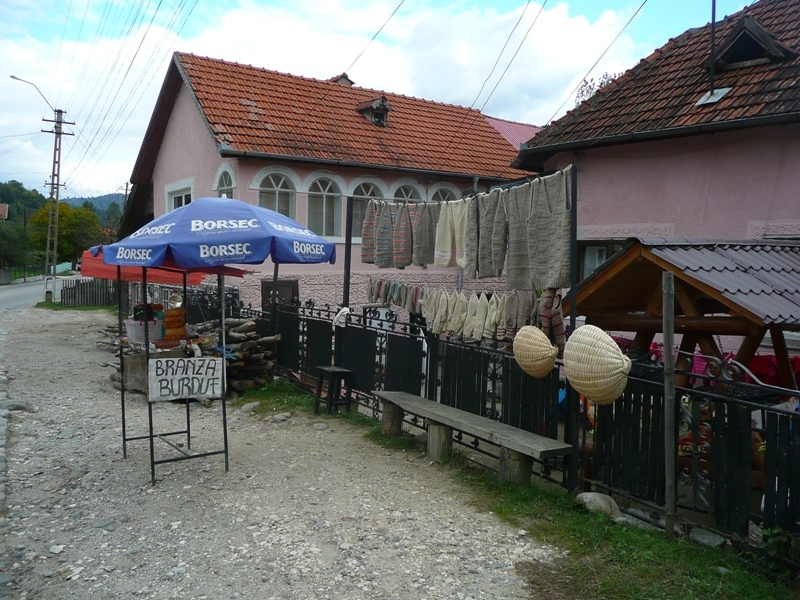 The second triggered massive scandals locally, since under Romanian law, members of collective owners’ associations were not allowed to sell their rights to third parties. Eventually, in 2015 one of the foundation’s subsidiary companies managed to take control of one-third of the Rucar commons, which from that moment on gave it a substantial say over issues such as how much wood is to be harvested, who can graze animals on the alpine pastures, and other matters which impact the commons significantly. Eventually, the FCC reached a point where it became difficult to buy more land, so they turned to education measures intended to encourage the local public to support green business and ecotourism. It has been widely discussed that wilderness creation is often linked to the exclusion and criminalization of local populations and natives that have historically drawn resources from a territory. Although the European Yellowstone is still only in its infancy, the effects on the local communities mirror to some extent the developments that affected the Native Americans after the establishment of Yellowstone National Park in 1872. Locals’ access has been restricted in certain areas by fences and barriers, and the foundation’s rangers constantly patrol the valleys, giving out fines and confiscating horses and carts. Moreover, interviews with villagers show that customary practices like mushroom and berry picking, previously open to anyone, have been dramatically restricted—FCC consider foraging as disturbing wildlife. Consequently, the local small-scale mushroom-processing industry has been affected, with production falling by half in 2014. Restrictions on picking berries and mushrooms have left poor Roma communities (around five to six thousand people) without an important income source, which they previously used to buy fuelwood and food for the winter. Farmers who formerly used the alpine pastures for grazing from June to September each year have been severely affected as well. 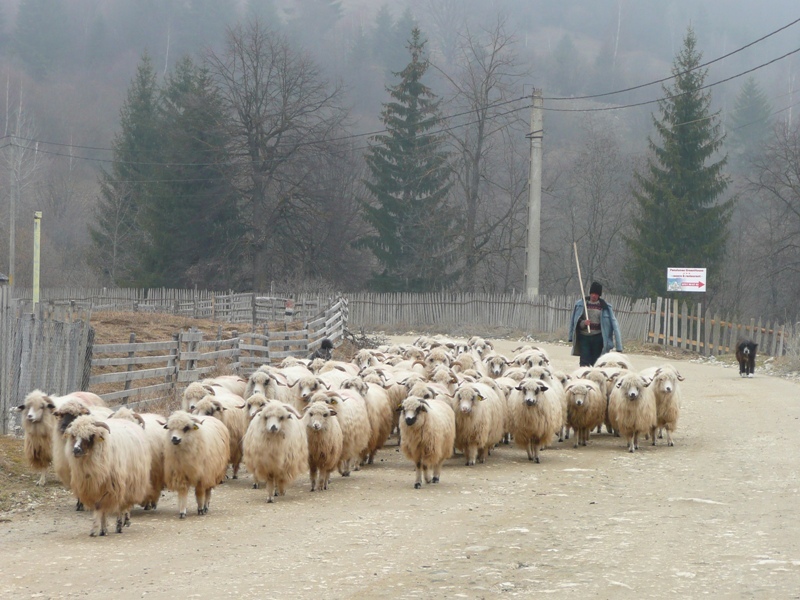 According to FCC, both cattle and sheep use the same scarce resource as wild ungulates; thus, herdsmen and shepherds feel the highest degree of dispossession here. This fences-and-fines approach stands in contrast to the EU’s conservation policy, which recognizes the importance of traditional land-use practices in environmental stewardship. For now, the future “European Yellowstone” makes a perfect case study of an environmental protection initiative that obscures and underappreciates the work done by local communities in maintaining and enriching the natural heritage that has influenced their livelihoods for centuries. Widely termed “fortress conservation,” this logic is increasingly used today across countries and continents to dispossess local populations, to ban access to resources, or to create the conditions for “green grabbing” and reinforce new forms of regulation of the global commons. Iordachescu, George. “Making the ‘European Yellowstone’—Unintended Consequences or Unrealistic Intentions?” Environment & Society Portal, Arcadia (Spring 2018), no. 10. Rachel Carson Center for Environment and Society. doi.org/10.5282/rcc/8303. Bauer, Nicole, Monica Vasile, and Maria Mondini. “Attitudes Towards Nature, Wilderness and Protected Areas.” Journal of Environmental Planning and Management (2017): 1–21. Brockington, Dan D. Fortress Conservation: The Preservation of the Mkomazi Game Reserve, Tanzania. Bloomington: Indiana University Press, 2002. Dorondel, Stefan. Disrupted Landscapes: State, Peasants and the Politics of Land in Postsocialist Romania. New York: Berghahn Books, 2016. Kupper, Patrick. Creating Wilderness: A Transnational History of the Swiss National Park. New York: Berghahn Books, 2014. Neumann, Roderick P. “Stories of Nature’s Hybridity in Europe.” In The Social Lives of Forests, edited by Susanna B. Hecht, Kathleen D. Morrison, and Christine Padoch, 31–44. Chicago: University of Chicago Press, 2014. Vasile, Monica. “Nature Conservation, Conflict and Discourses on Forest Management: Communities and Protected Areas in Meridional Carpathians.” Sociologie Românească, no. 3–4 (2008): 87–100. George Iordachescu is PhD researcher at the IMT School of Advanced Studies, Lucca, Italy. His doctoral research focuses on the production of wilderness narratives in Eastern Europe and their impact on local livelihoods. He was part of a research team which mapped the forest and pasture commons in the Romanian Carpathians.